Please see our high quality product ranges below, all of which can be provided whole, half or sliced into a variety of gas-flushed packet sizes. Each range is a result of years of accumulated knowledge, experience and enthusiasm for our products. We also now have a genuine Smoking Oven on site which allows us to create natural Beechwood smoked products as required. Please follow the links to our full product range brochure. The kettle range of hams are cooked using the authentic, traditional method of cooking in open water. The still water seals the hams as they are delicately simmered, giving them a superb taste and texture profile creating a flavour of the past. The range includes bone-in easycarve and boneless hams all of which can be honeyglazed or smoked. The Bloor family have been using live Wiltshire brines since the 1920’s. Today the Wiltshire range of products are produced using a genuine live brine creating a real link to traditional Wiltshire flavours. Expertly boned out by our own team the legs are matured in our authentic live brine for a minimum of 3 days then air dried to allow the flavours to fully develop as the hams mature. They are then matured further before being gently slow-cooked to create a succulent, traditional Wiltshire ham. The Roast Festive range was created by David Bloor in the 1960’s. 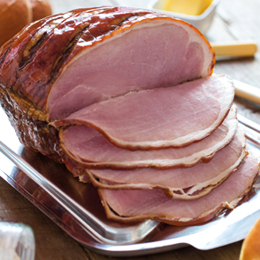 It’s a genuine roasted ham that is matured for several days in tanks of brine with demerara sugar and salts to give a unique roast with a succulent rich flavour. It is a popular and appealing Deli-style product that can also be sliced. 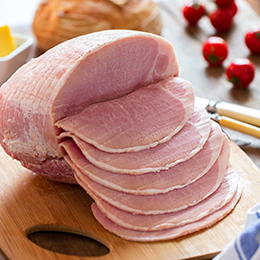 Our Gammon range of hams are based on a recipe of over 40 years. The legs are expertly boned out to a high internal specification before being cured, gently tumbled and matured to give a lean, full muscle, Deli-style product or slicing gammon with a delicious gammon flavour. 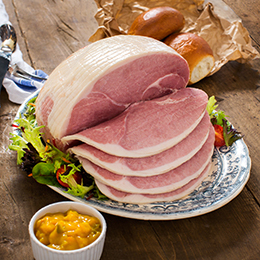 As well as a range of products designed for slicing of 100%, 90% and 80% meat content hams we have a wide range of other products. These includes genuinely Roast Pork (not steamed then flash roasted) Beef Topside or Beef Silverside products and Turkey Crowns or Logs. 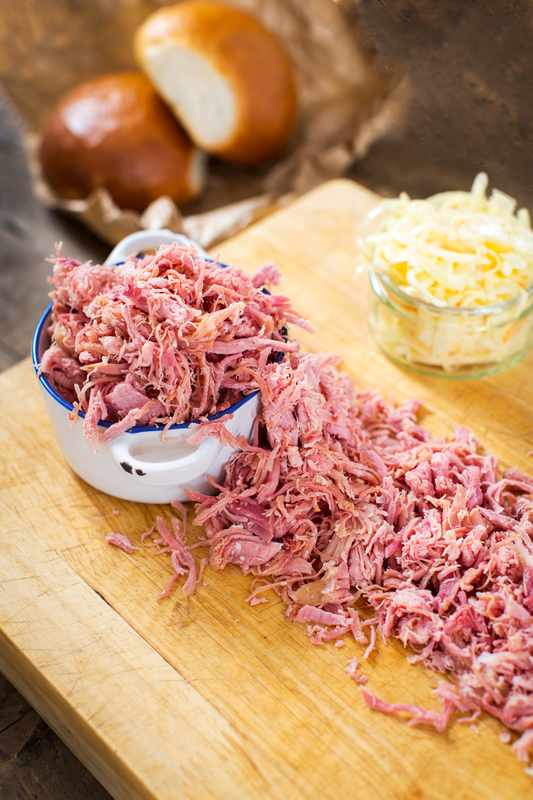 Pulled products include Smoked Hock, Plain Hock, Pulled Pork and Pulled Beef. 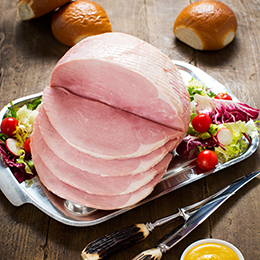 For Christmas, we also do a popular range of smaller hams for the seasonal period. These can also be Smoked or Honey and Sugar Glazed as required.